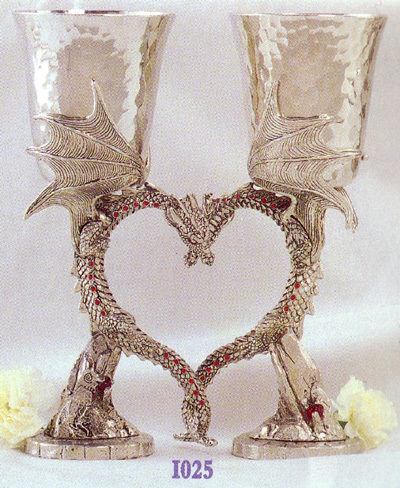 This pair of exquisite dragon Pewter Goblets nuzzle and entwine their tails when placed together, forming a heart in the space between them. The fire of their passion sparkles from the crystals in their eyes and down both sides of their bodies. We make them by hand from lead-free pewter and they're suitable for all cool liquids. Sold as a pair, they hold 10 ounces each.